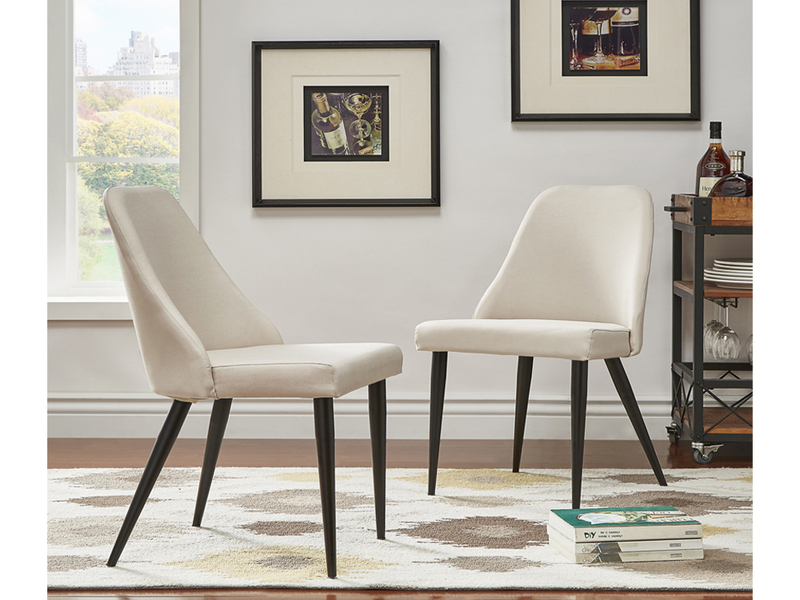 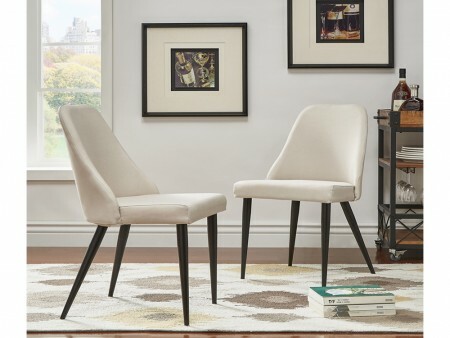 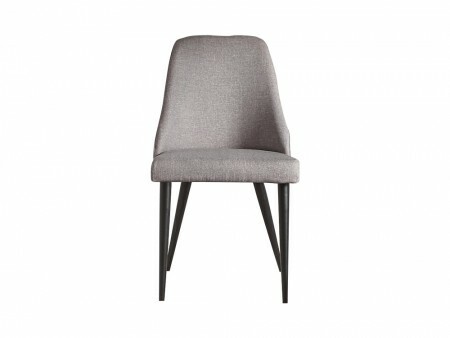 The Modern Beloit Chair is modern and fun dining chair with dove grey or white upholstery and flared dark wood legs. 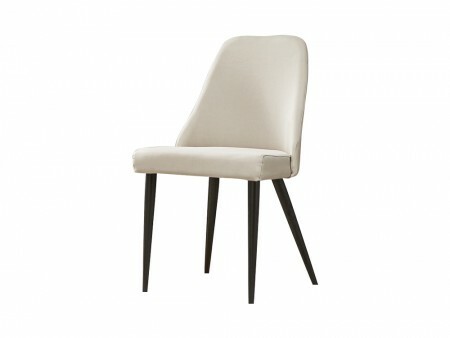 The chair will easily pair with rectangular or round tables and will withstand frequent usage. 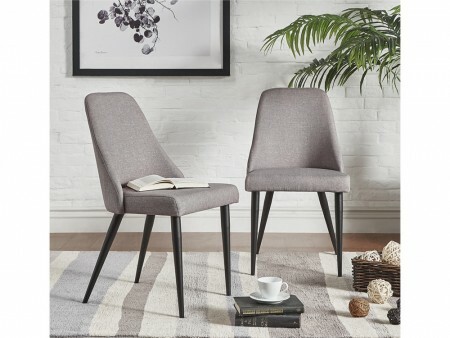 Add a table and an area rug from Inhabitr for a complete dining room area setting. 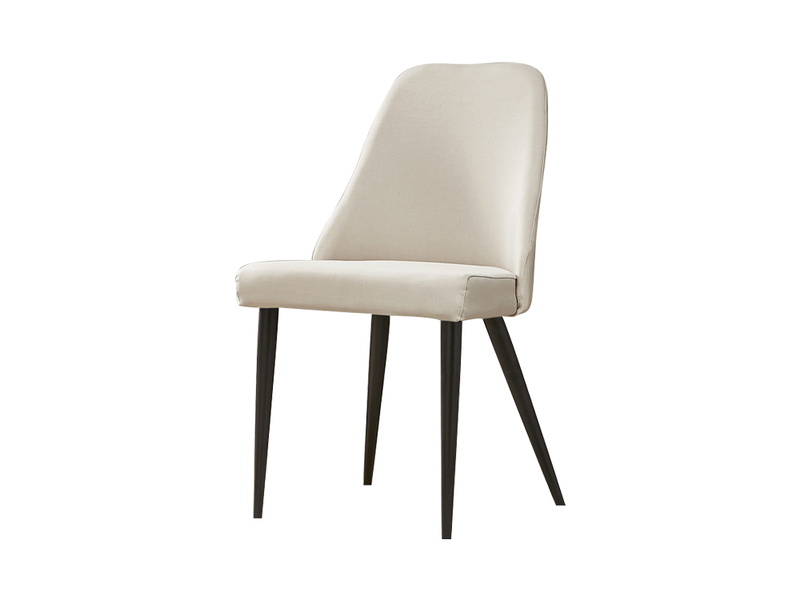 Rent the Modern Beloit Chair from Inhabitr and enjoy our white glove delivery service included in the rental price.